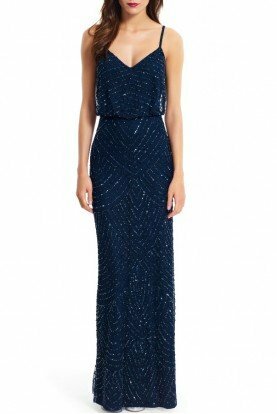 Great For: Wedding Guest, Bridesmaids, Evening, Mother Of The Bride, Mother Of The Groom. 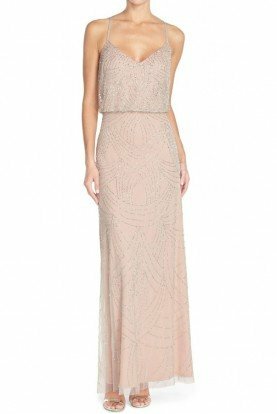 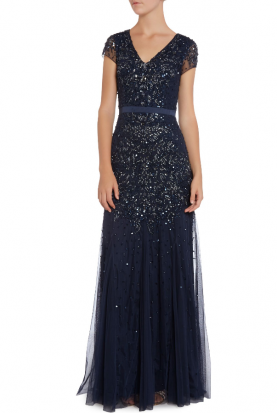 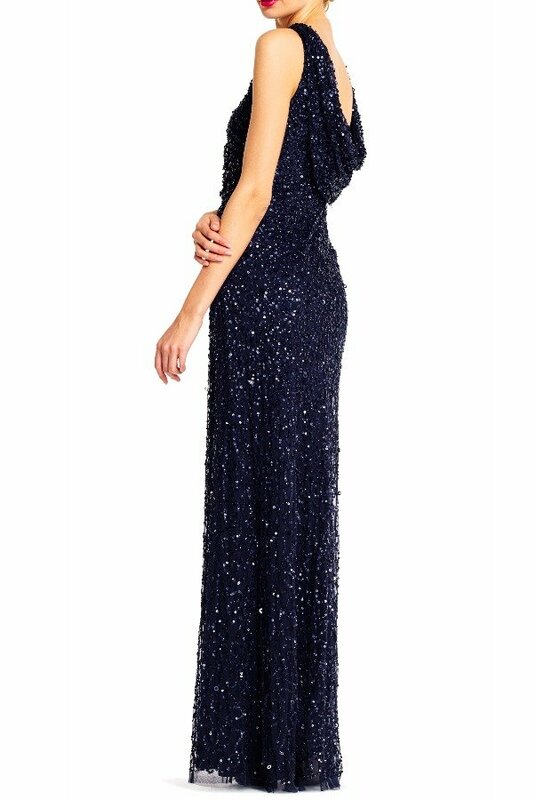 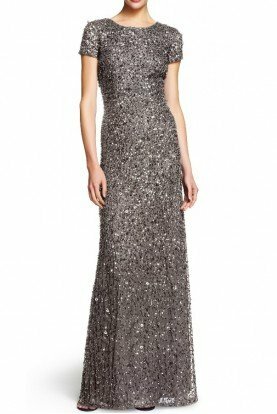 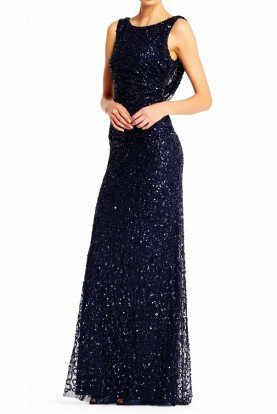 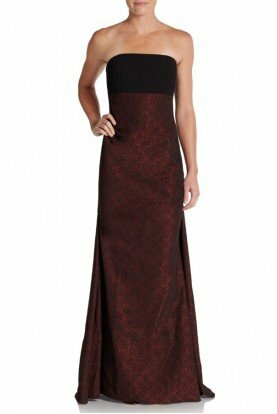 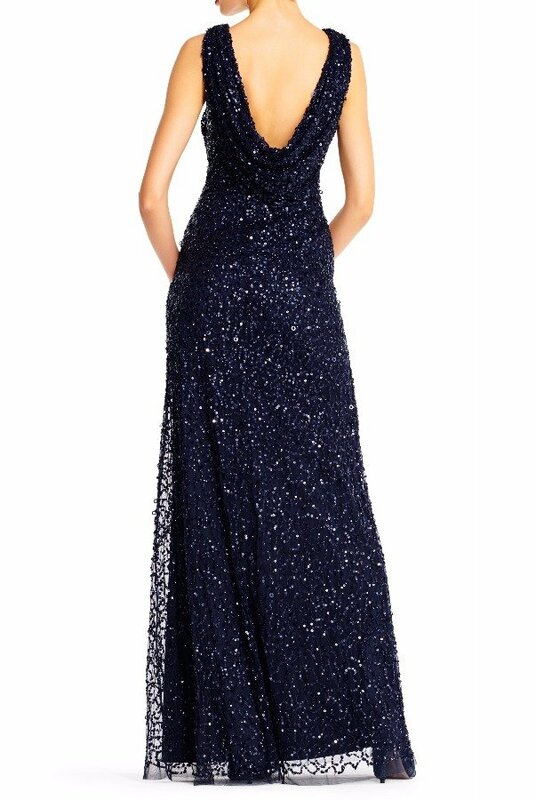 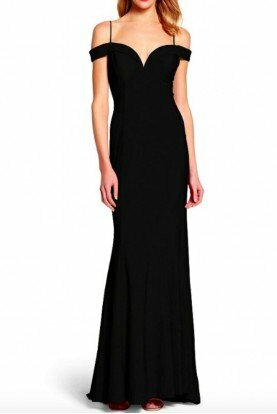 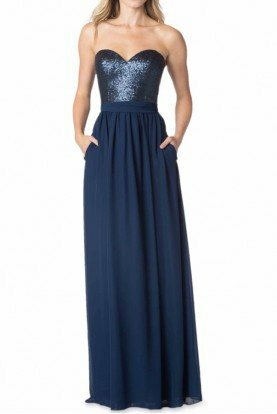 Care Instructions: None Fabrication Category: Knit Product Category: Dress - Long Bodice: Sleeveless Sleeve Type: None Collar Type: Boat, Bateau Closure Type: None Silhouette: Gown Fabric Type: Beaded Mesh. Length: 59.5"